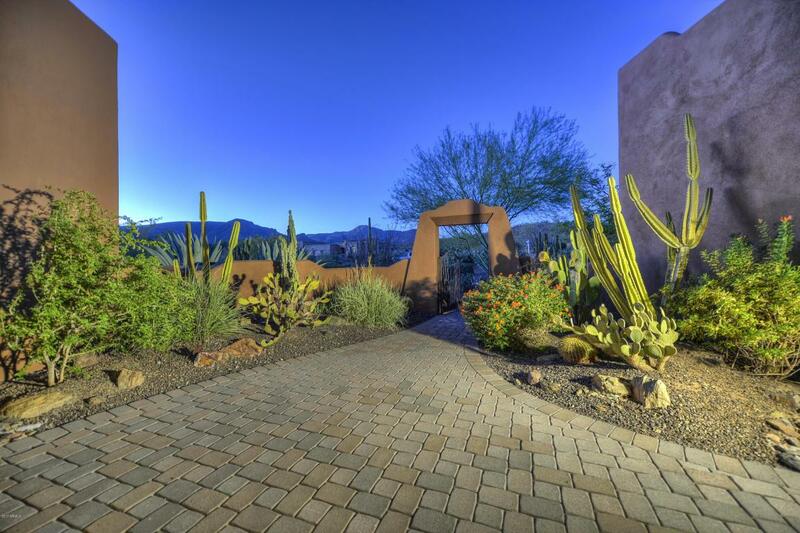 WOW!Quality 2006 built Custom home on two acre VIEW lot! 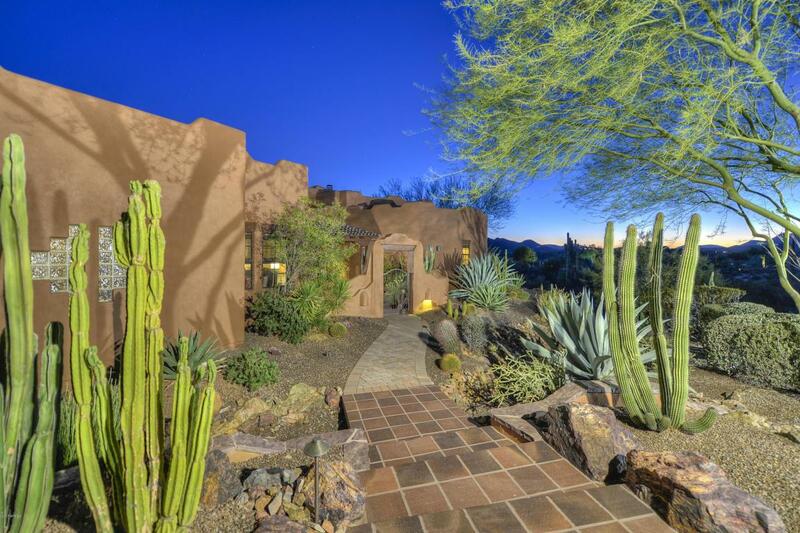 This home has it all-South-facing backyard for great Winter sun, great mountain views, privacy, open concept great-room floor plan; great thought out yard has larger patios - one for seating and one with 2 built-in grills (one gas, one charcoal) sink and beverage refrigerator; large stone fireplace, pool, stand alone built-in spa. 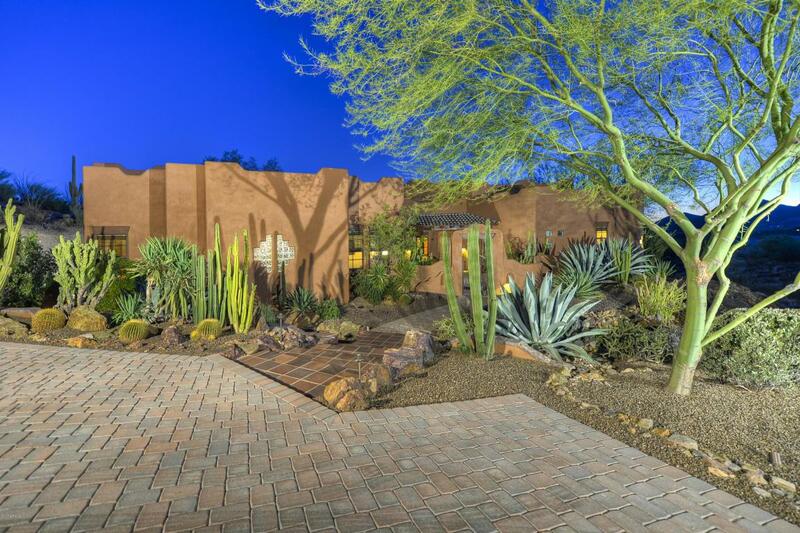 This property offers the best of the high Sonoran Lifestyle. You will enjoy the smart kitchen design with large granite counters, GE Monogram appliances, double-door wine cooler, breakfast bar, and large eat-in area for formal or informal dining. 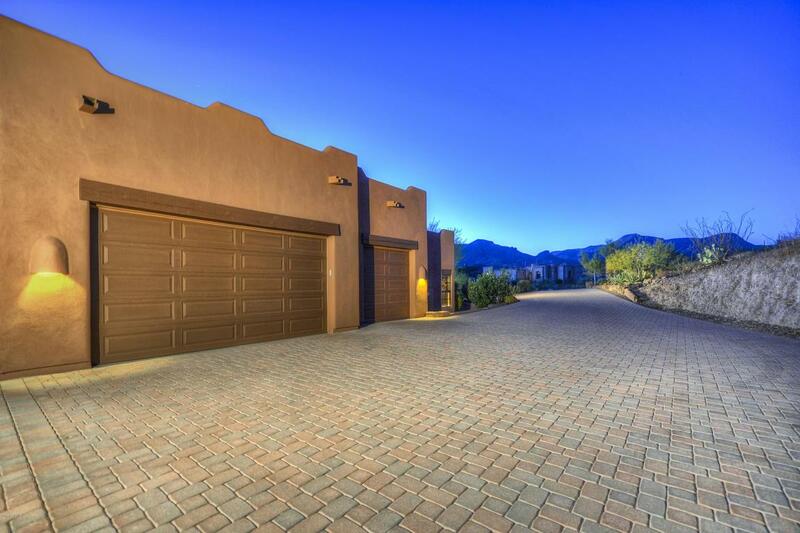 Also larger 3 car garage with complete paver driveway! 5 minutes to town yet private and Quiet!